Mental Benefits: Studies show that physical activity improves the symptoms of anxiety and stress. 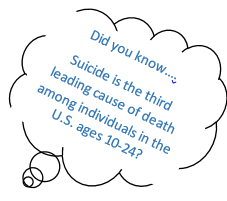 It also reduces risks of depression and feelings of hopelessness which are often associated with thoughts of suicide. 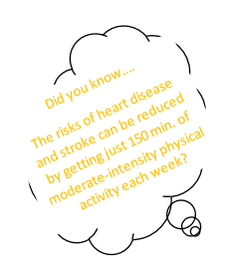 Physical Benefits: Physical activity can improve overall quality of life through helping individuals control their weight, strengthen bones and muscles, and reduce their risks of cardiovascular disease and some cancers. 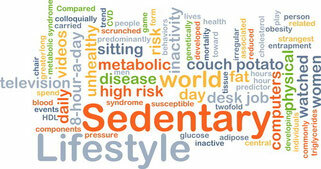 Sedentary Lifestyles: Common reasons for not getting adequate PA are a lack of motivation and time. 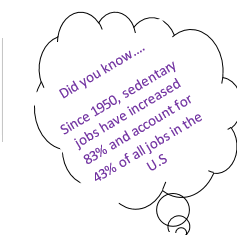 Aside from being sedentary at home, our occupations tend to be increasingly sedentary as well. Consequences: The World Health Organization estimates that each year 3.2 million people die due to the lack of physical activity, which makes it the fourth leading cause of mortality. Not getting enough PA can result in an increased risk for chronic disease, obesity, and mental distress. 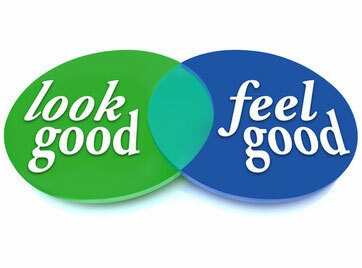 → Try to interrupt long periods of sitting with even light-intensity PA.
→ Switching motivation from wanting to look good to wanting to feel good can improve body satisfaction and self-esteem.